Posted to Reddit by "ClockworkWVVII" with the title "My Apple Watch just saved my life," the Redditor explains they received a high heart rate notification while relaxing in bed. The user then contacted the emergency services for medical assistance, as a preventative measure. The paramedics arrived to find the user in "serious trouble," with their body described as having gone "into shock." The poster was put onto a stretcher and taken to the trauma center of the local hospital. Later updates to the story reveal they were suffering from tachycardia and had passed out in the ambulance, before being revived in the hospital. An ECG confirmed all chambers of their heart were beating properly but faster than normal, a condition the cardiologist specified was supra-ventricular tachycardia or SVT. ClockworkWXVII acknowledged the swift onset of shock following the alerts, advising, "I felt totally fine before everything happened, and then notifications, and then BAM, everything goes nuts." The user adds "Thank you Apple for making an amazing accessory and tool that helps people stay not dead." 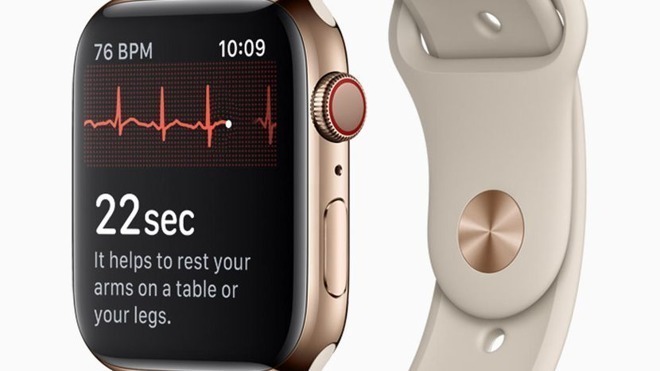 The story is one of many instances where the Apple Watch advised of heart issues that later turned out to be serious. In March, it was credited with saving the brother of a radio show host for tachycardia, while in early April the rollout of the ECG app in Europe helped detect AFib in one German patient.